Recent news on the EU’s stepped-up process to withdraw the Everything But Arms (EBA) tariff-free access to European markets for Cambodian exports has drawn comments from both ends of the spectrum. Those who are “critical” of the government congratulate the EU for taking action to consider a tough rights-based strategy on Cambodia, which can be an example for other least developing countries – if they “flout” principles on human rights and the protection of democracy. These groups rather than try to seek ways to improve the situation are, instead, hell-bent on denouncing the CPP-led government over the EBA withdrawal. Their hope is that the Cambodian economy will spiral downward so that there would be social chaos in the country. This group, however, is reluctant to learn the lessons in Cambodia’s history. It is a lesson of both political and economic resilience during decades of hardship. On the other end of the spectrum is the group that argues Cambodia should brace itself in the interests of national sovereignty and integrity. They cite three reasons. Firstly, the EBA is for least developed countries to have duty-free and quota-free access to EU markets. This scheme will automatically end once the country moves out of its LDC status. The UN’s criteria for countries to graduate from LDC consist of gross national income per capita (GNI) with average of low-income thresholds from $1,230 and a human asset index with average threshold of 66 and the average economic vulnerability index of 32. Cambodia, measured for graduation in March 2018 by the UN using data from 2014 till 2016, was ranked at a graduation step with GNI per capita threshold at $1,075 and a human asset index threshold at 68.9 and economic vulnerability threshold at average of 34.8. The threshold might be slightly different if measured with data from 2017 and 2018. According to the forecast from the Asian Development Bank for Cambodia’s economic outlook, GDP growth tends to be 7 percent for 2018 and 2019 and the GDP per capita growth tends to be 5.4 percent and 5.5 percent in 2018 and 2019 respectively. Therefore, the complete graduation from LDC status will be done sooner or later depending on time. Secondly, Cambodia has historically experienced decades of political and economic hardship. Politically, the dramatic regime changes since 1970s under various geo-political influences have taught the Cambodian people resilience in the face of hardship. They understand clearly that only sovereignty and national integrity would lead to a sustainable solution – thanks to the win-win policy of Prime Minister Hun Sen for bringing peace, stability and economic growth since 1998. Economically, Cambodia has been hit by various crises – from the 1998 Asian financial crisis to the 2008 global financial meltdown and the internal crisis following the opposition-led destructive demonstrations in 2013 after the elections. Now, the Kingdom could also expect a certain fallout from the ongoing US–China trade war. But Cambodia’s economic resilience remains strong due to its flexible policy actions and strategies. 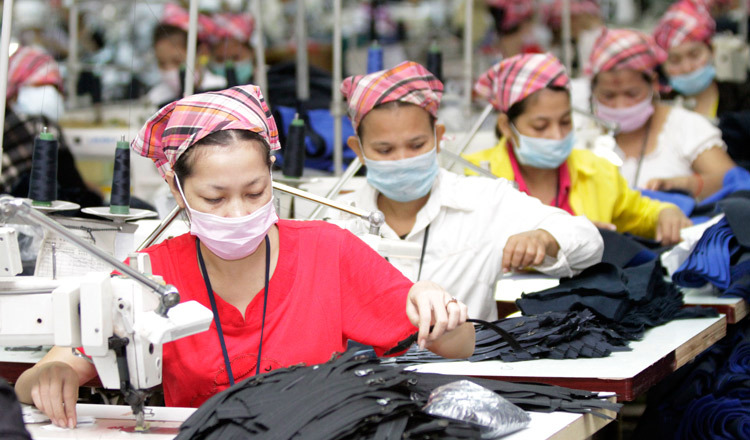 With new policy reforms and an endeavor to shift from export-based economic dependence to domestic consumption-based economic dependence, and the implementation of the Industry Development Plan 2015-2015, Cambodia expects to brace itself for the current hardship resiliently during this transition period. Finally, geopolitical polarisation between the superpower countries such as US and China has trapped Cambodia’s foreign policy. The US and EU perceive wrongfully that Cambodia is becoming a satellite of China, with Phnom Penh veering towards Beijing in trade cooperation. This needs to be looked at through a proper perspective. Since China opened up in 1978, it has consecutively maintained rapid economic growth for four decades with an average gross domestic product (GDP) rate at 9 percent from 1978 till 2017 paving the way for China to become second largest economy in the world after the United States. The IMF in 2018 predicted that China could become the largest economy in the world overtaking the US by early 2030. China’s share in global real GDP has risen from 1.8 percent in 1978 to 15 percent in 2017 and was ranked 1st in 2014. Such growth enabled China to contribute significantly to poverty reduction down to 4 percent in 2018 and expected to be zero in 2020. China, as a key contributor through the South-South cooperation framework, plays a crucial role in ensuring that the UN’s Sustainable Development Goals are met. The grand strategy of the Belt and Road Initiative under President Xi Jinping covers Asia, Europe and South Africa and embraces key economic and cultural aspects. China has invited various countries around the world to participate and cooperate. In conclusion, while current measures and policy actions have been put in place to prepare for the revocation of EBA, the long term perspective should be envisioned to ensure that the government prepares Cambodia to become a middle-income country by 2030. In order for this to happen, local government especially the communes and districts should be empowered to undertake their own initiatives for local development and urbanization. Local government should take the lead to determine their own fate of economic growth and development, and not just rely on the central government. Virorth Doung is with Zhejiang Univesity in Hangzhou, China. Is Cambodia ready for the post-EBA era?